Rob catches up with Eric Hanson from Hammer + Sickle to talk about the newest Caleanoch release, the 50. They talk about Dome 1 in the Museum Series of 300 limited porcelain cigar jars. The jars are based off Saint Basil's Cathedral in Russia. The Tradicion has a Salamon vitola extension, for Berlin Wall a box press. Surgeon sits down to review the St. Petersburg Hermitage No. 1 cigar from Hammer + Sickle. Surgeon sits down with Eric Hanson to talk about their new peat cured cigar the Caleanoch. 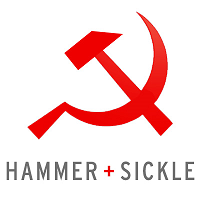 They also talk about Sharing Our Pairings and the other new cigars from Hammer & Sickle at the IPCPR 2015.